Booming bourbon: $4,000 whiskey the most expensive in U.S.
Michter’s President Joe Magliocco gives FBN’s Jeff Flock an exclusive look at how the country’s most expensive whiskey is made. People around the world are drinking a lot more U.S. booze than they used too. According to a new report from the Distilled Spirits Council, the value of U.S. distilled spirits exports rose 10.6%—which equates to more than $67 million—to a total of $698.5 million in the first half of 2017. That growth, the agency said, was led by whiskey. American whiskeys including bourbon, Tennessee Whiskey and American Rye, rose nearly $27 million to $464.6 million (a 6.1% increase). But other favorites like brandy, vodka and rum have also seen an uptick this year. Brandy is up 39.4% ($12.2 million); vodka is up 51.2% ($5.2 million) and rum is up 49.2%. 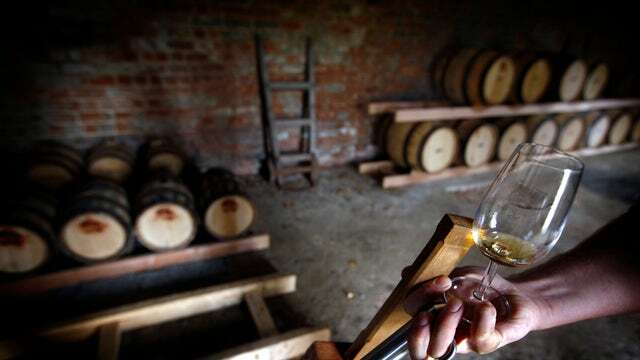 “This clearly demonstrates the growing appeal of U.S.-made spirits, particularly American whiskeys, in many foreign markets,” Christine LoCascio, senior vice president for International Trade at the Distilled Spirits Council, said in a statement. LoCascio added that a majority of the growth for U.S. spirits came from overseas markets. Liquor sales saw a 39% bump in the United Kingdom, a 33% jump in Germany and a 21.4% pump in France. The biggest increase came from Brazil, which saw a 313.8% climb in value from last year. Other strong markets included Panama, Japan, Italy, Poland, Latvia and Chile. However, Canada still remains the single largest market for U.S. spirits exports, which was valued at $87.6 million between January and June 2017. “Around the world, adult consumers are seeking out American spirits because of their diversity of flavors and styles, mixability and authentic heritage,” LoCascio said.